If there is one thing I like, it's a good challenge. 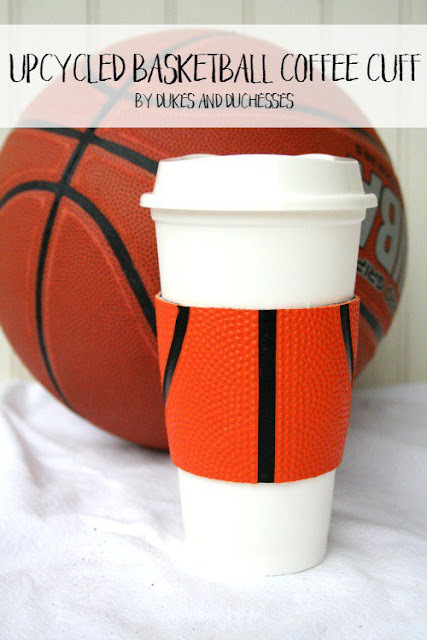 Especially when that challenge involves shopping at a thrift store and creating something new out of that item. There is a twist! This challenge requires you to purchase an item for another person, send it to them and see what they create. That means a box showed up on my doorstep of my supplies, all purchased at a thrift shop, ready to see what I could create from one of those items. How much fun is that?! 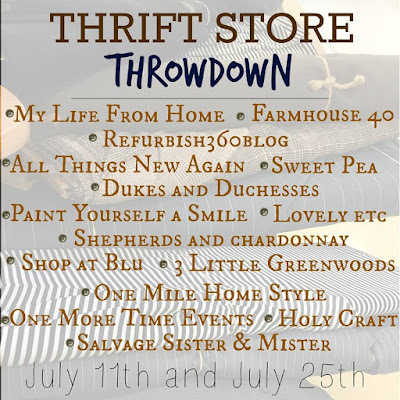 Come check out what I sent and what I received as part of the blogger's thrift store challenge. As a gift giver, I always like to give what I would like to receive. I spent hours walking thrift store aisles trying to come up with the perfect item when I finally stumbled on these large pieces of leather. Sure, I saw plenty of random items in the aisles that could be upcycled, crafted and created, but if I were doing this challenge, I love the blank slate that comes from a pile of good quality materials. My items got shipped to Randi at Dukes and Duchesses. 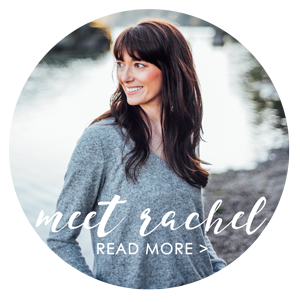 Before I shopped, I did some blog stalking to see what Randi likes to create. I found out that Randi loves succulents as much as I do. 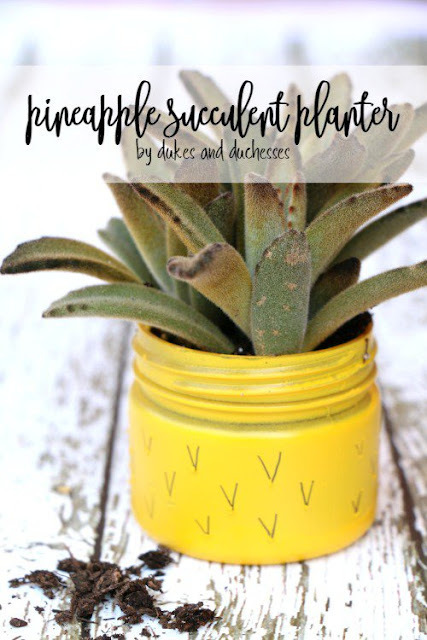 She even created this amazingly adorable pineapple succulent planter from a small mason jar. 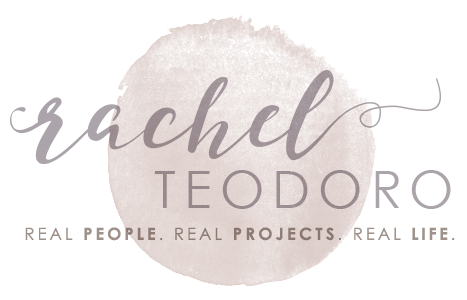 She's a big fan of repurposing and creating new projects. I love this upcycled basketball coffee cup. 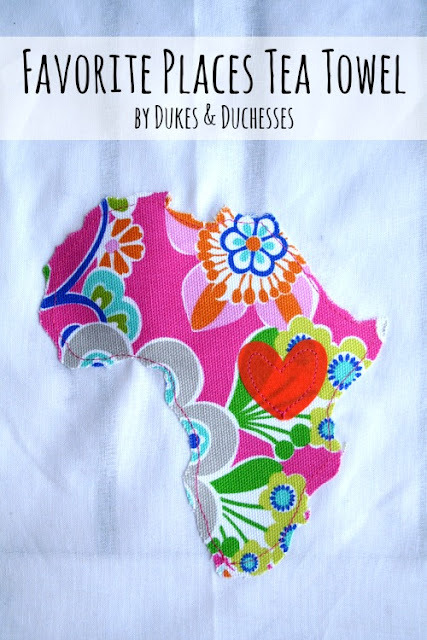 And anyone who creates a tea towel with MY favorite place, is bound to be pretty amazing! 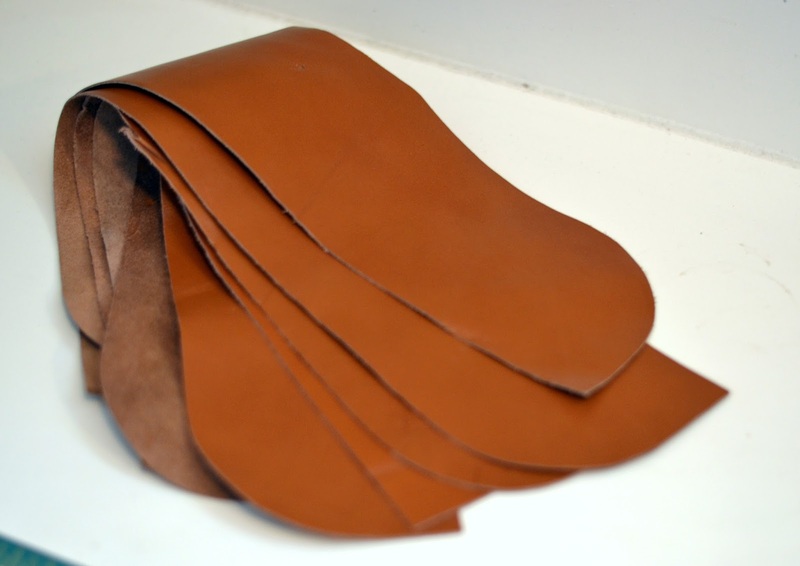 I am excited to see what kind of project she creates with the leather pieces. 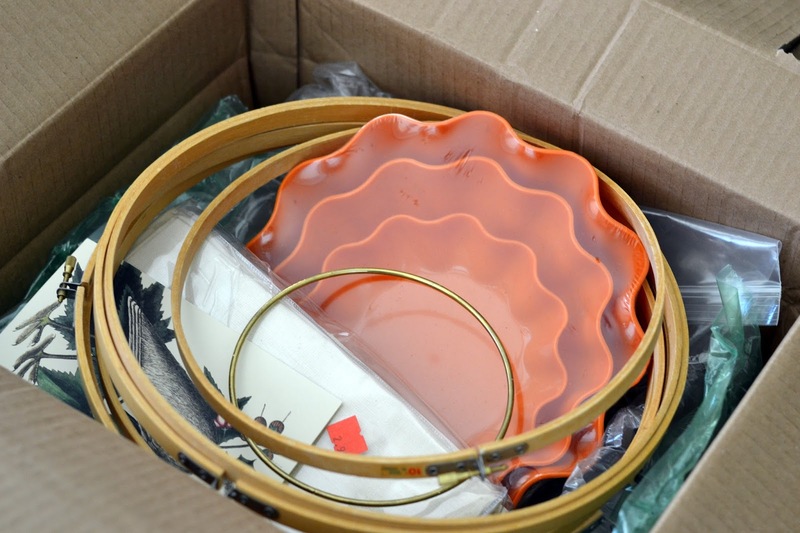 My challenge box came filled to the brim with lots of supplies and tons of potential from Carol at Refurbish 360 Blog. My mind immediately started thinking of fun ideas and projects that I could create. I'm excited to show you what I ended up making with the supplies and which supplies got turned into the first project. Check back with me on the 25th and see what I created. 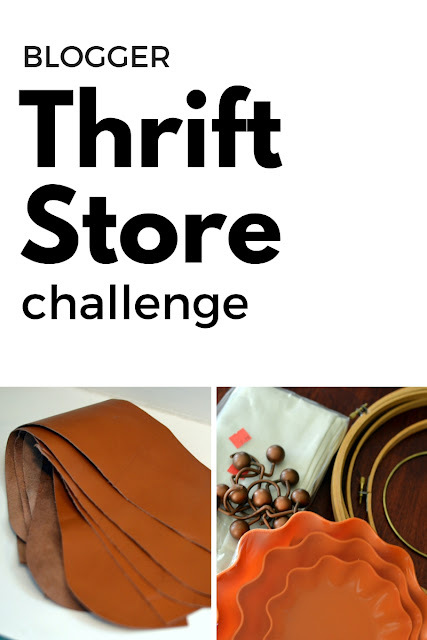 In the meantime, go check out some of the other thrift store challengers! 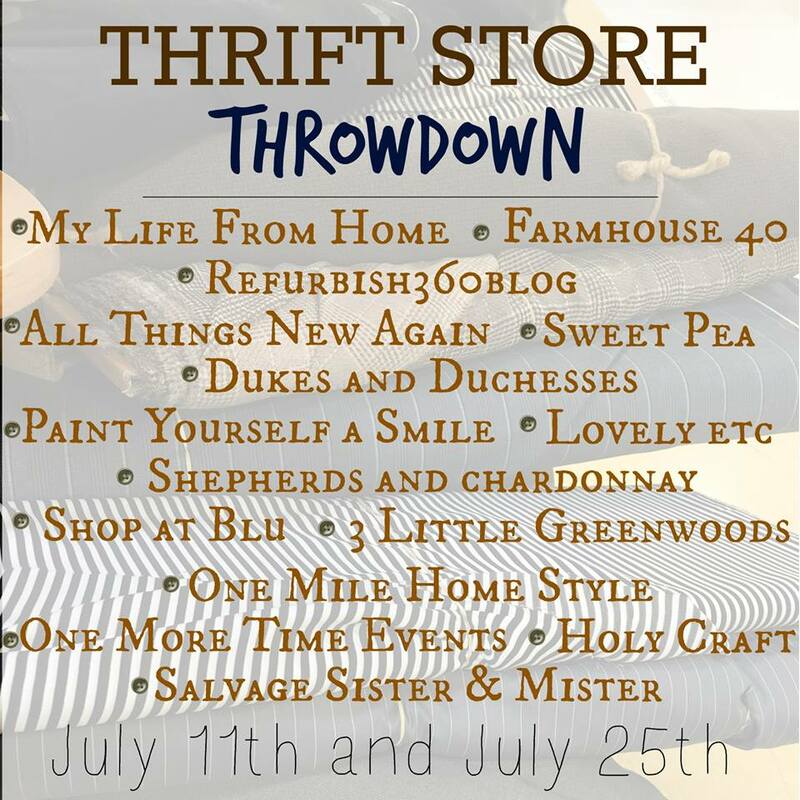 On social media search #thriftstorethrowdown. That's quite the box of goodies you received ! I can not waite to see your genius create with those! This is exciting!